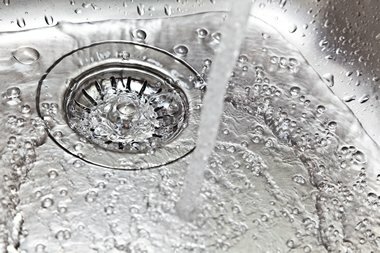 The UK’s Health & Safety Executive (HSE) have recently updated the safety rules dealing with the control of legionella risks with an extensive overhaul of their Approved Code of Practice (ACOP) L8, together with a brand new guidance document covering the management of Legionnaires’ disease and the control of Legionella bacteria in water systems. Part 2 – hot and cold water systems (to be updated 2014). HSG274 Parts 1 and 3 were published in late 2013, however Part 2 (Hot & Cold Water) is currently under review and will be published by the HSE shortly. Hot and cold water systems, covered by HSG274 Part 2, are by far the most common form of water system presenting a legionella risk and so these forthcoming changes are likely to affect you, your staff and your organisation. It is therefore very important that you understand the changes and adjust your legionella risk management systems to remain fully compliant with the law. 1. The guidance has been increased from 16 to 60 pages resulting in more clarity of requirements. Our detailed review has identified a clear approach to the required organisational compliance measures necessary. 2. Greater guidance on the approach required for shared premises. Roles, responsibilities and lines of communication need to be crystal clear to ensure nothing is missed. 3. Greater guidance on the approach to domestic rental property. Important for residential landlords, local authorities, housing associations and those with significant residential property holdings. 4. Increased focus and expansion of routine monitoring. 5. Provides improved clarification on “point of use” water heaters. 6. Increased information on water system design including the use of “solar systems” and accumulators. With increased adoption of such “green” technologies a clear approach to risk management is required. 7. Guidance on when a cold water storage tank needs cleaning. 8. Change in the guidance on actions required when legionella levels <100 cfu/ml detected in premises with vulnerable persons present. A clear understanding of actions to be employed is required. 9. Greater clarity on the use of thermostatic mixing valves. These are currently only draft proposals, once the full document is formally published by the HSE we will update our summary and email it to you. A more detailed precis will also be available from us. We will announce dates and venues once HSG274 Part 2 has been formally published by the HSE which we anticipate will be sometime in April 2014.